Mote Marine Laboratory and partners will restore 70,000 coral “seeds” across 130 acres of depleted Florida reefs over three years — prioritizing coral genetic varieties resilient to disease and climate change impacts — thanks to a grant of nearly $1.5 million announced today, Nov. 9, by the National Fish & Wildlife Foundation (NFWF), National Oceanic and Atmospheric Administration (NOAA) and partners. The grant challenges Mote and its supporters to raise matching funds and achieve the greatest possible impact for the Florida Reef Tract and those who depend on it. Florida has the planet’s third-largest shallow-water coral reef system, which underpins the state’s marine ecosystems, supports over 70,000 local jobs, draws $6.3 billion to Florida’s economy and serves as the primary front line of coastal resiliency defense from major storms. Resilient coastlines are the focus of Mote’s grant and 34 others totaling $28.9 million, awarded by National Coastal Resilience Fund (NCRF), a partnership of NFWF, NOAA, Shell Oil Company and TransRe. These grants were made possible when congress provided funding for Title IX of the National Oceans and Coastal Security Act. Together, the grants are expected to generate $38.3 million in matching contributions for a total conservation impact of $67.2 million. With the new grant, Mote will implement a strategic Florida Keys Coral Disease Response & Restoration Initiative with multiple research and restoration partners — a powerful attack against unprecedented threats facing Florida’s reefs, including an outbreak of coral tissue-loss disease spanning more than 96,000 acres. Implement multi-year monitoring and analyses to scientifically evaluate ecological impacts and benefits of restoration. Mote project partners include NOAA’s Florida Keys National Marine Sanctuary, Biscayne National Park, Florida Fish and Wildlife Conservation Commission, Florida Department of Environmental Protection, NOAA’s Coral Reef Conservation Program, The Nature Conservancy, local community groups in the Florida Keys and others. The Mote-led initiative aims to restore not only branching corals — threatened staghorn and elkhorn species whose populations have been decimated over decades — but also reef-building brain, boulder and star corals whose populations are beleaguered by the current, widespread and unprecedented outbreak of tissue-loss disease. The Mote-led restoration initiative will focus on Florida Keys National Marine Sanctuary waters in the Lower Keys and Biscayne National Park in the Upper Keys. The Florida Keys from Key West to Biscayne face a 16-percent chance of hurricane impacts in any given year. The U.S. Geological Survey has reported that a degraded coral reef leads to increased run-up in flooding. Observational and modeling studies indicate that, had coral reefs been healthier across the Caribbean (including along Florida), the resulting wave-driven run-up and coastal flooding of areas fronted by coral reefs would have been less than what occurred. 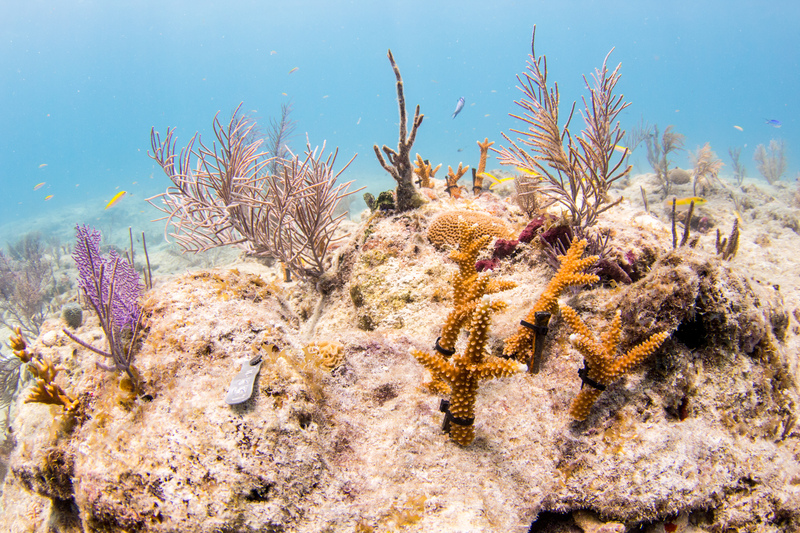 Florida’s degraded and declining reefs are fighting a losing battle to continue providing critical protection, but this coral restoration initiative will significantly strengthen that ability for amplified and lasting protection of the Florida Keys economy, culture and quality of life. During the last 40 years, Florida’s indigenous corals have declined in some areas by more than 90 percent, with some species losing more than 97 percent of their populations. 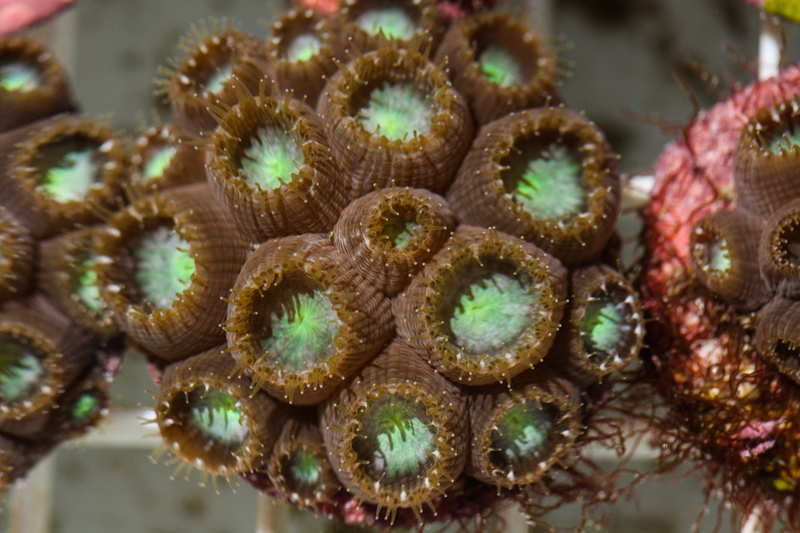 Seven coral species found in the Florida Keys are listed as Threatened under the U.S. Endangered Species Act, with elkhorn and staghorn corals decimated by white band disease, and with grim prospects for brain, boulder and star corals affected by the tissue-loss disease outbreak — unless scientists and resource managers apply their knowledge to successful interventions. Restoring resilient corals is a promising and paramount strategy, say Mote scientists who have restored some 43,000 corals to Florida Keys reefs to date, monitored their progress and led controlled lab studies investigating why some corals resist threats. “Our research has identified genetic strains of staghorn coral resistant to white band disease, and we are studying the mechanism behind this resistance, screening other corals for indicators of resistance, and thoughtfully including this information within our restoration plan,” said Dr. Erinn Muller, Science Director of Mote’s Elizabeth Moore International Center for Coral Reef Research & Restoration (IC2R3) on Summerland Key, Florida. 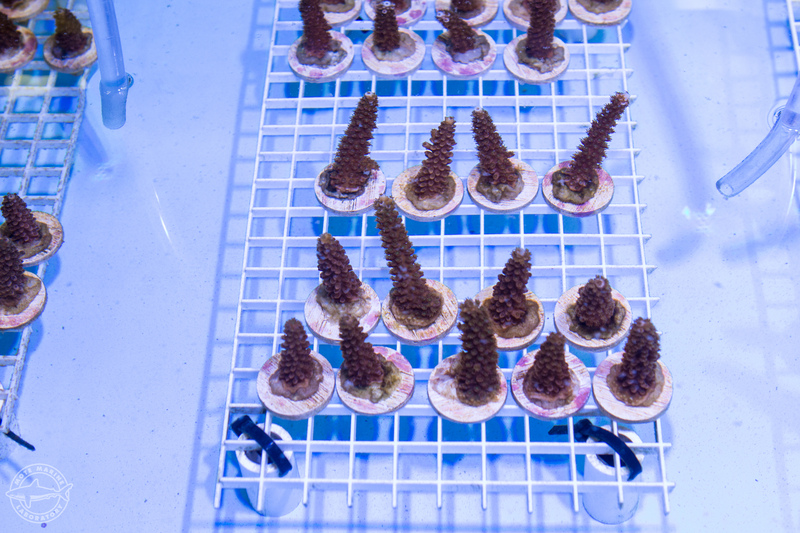 “We anticipate incorporating these disease resistant corals into controlled sexual reproduction efforts to increase both the genetic diversity and disease resistance of our corals used for restoration.” The sexual reproduction efforts will be led by Mote’s visiting German Research Foundation postdoctoral fellow, Dr. Hanna Koch. Read a news release about the full list of grants from NFWF and partners. Help Mote match this critical new grant and maximize the benefit to Florida’s coral reefs. Visit mote.org/donate, click “Donations” and, under “Designation,” select “Coral reef research & restoration” from the drop-down menu.